Looking for promotional items? Visit our LogoMall store. Are you looking for a specific item or just browsing for ideas? You can easily shop for some of the hottest items on the market. If you don’t see just the right item, please contact us at 585-889-2121, and we will work with you directly. 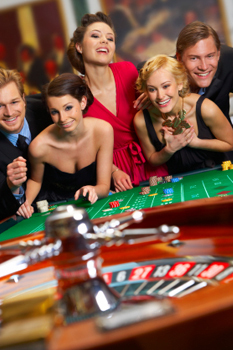 We want you to have the the perfect casino party look.